Affordable Towing Offers Customized Towing Signage. 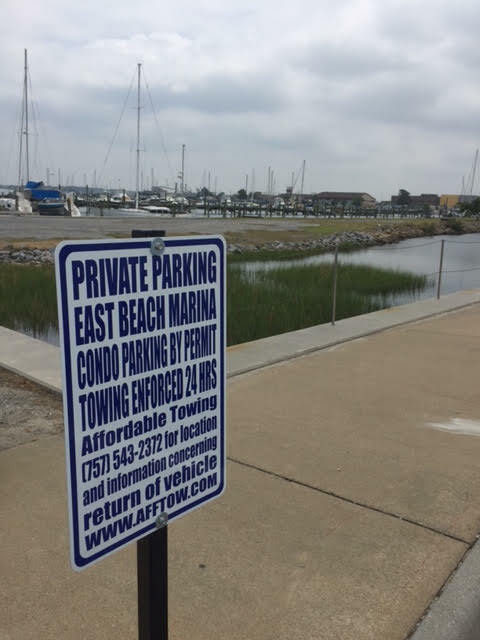 Some parking issues require specialized towing services and even customized towing signage. For example, we provide towing at this combination restaurant/condominium. The challenge is to share the same parking lot but designate separate spaces for the condominium tenants. No problem, we special ordered these metal fabricated poles to be fastened on the sidewalk and provided a reserved sign for each of the tenant spaces. This should keep the spaces clear, and if not the tenant is now enabled to have any unauthorized vehicles removed. Did I mention we did this all at “no cost” to the property manager? Yes we did, in fact we provide any and all signage a property needs for there parking management for “free”. Do you have a challenging parking situation at your property and need an experienced towing service to manage it? Give us a call at 757-543-2374 and let’s get started.